For those Elco's that had red waterlines, did they also have a black boot topping? 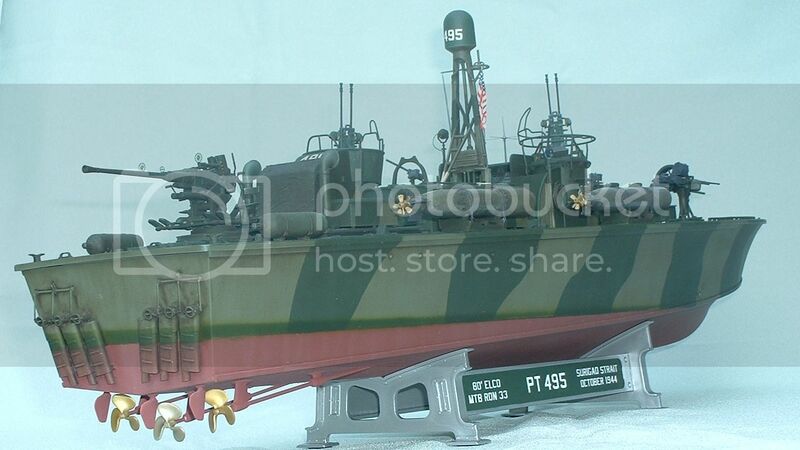 I checked through almost all my photos and only found boot toppings on the pre-war experimental PTs with the light gray hulls and on the construction photos of the first batch of Higgins with the original superstructure. Everything else I have shows just the red. I think what you may see as resembling boot topping is just grime and algae along the waterline. You guys may have a point; it might just be algae and sludge along the waterline. 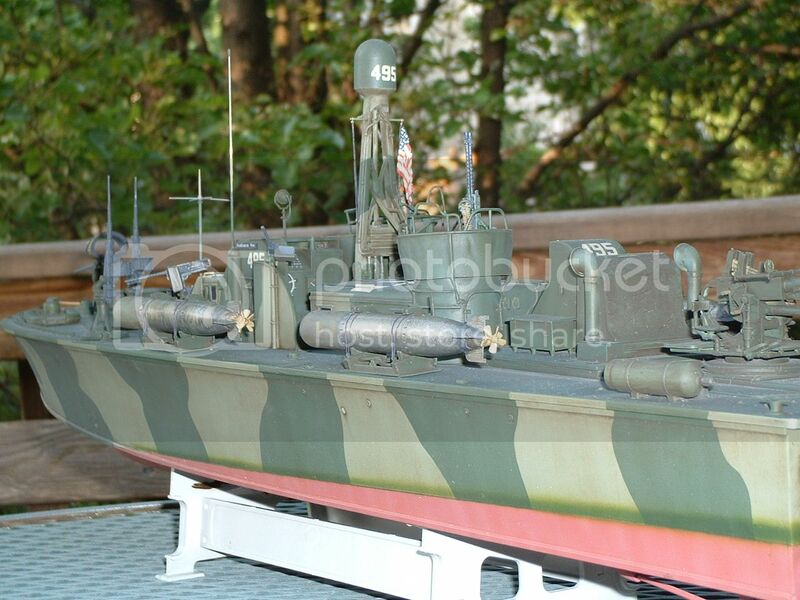 Take a look at Stu's Elco model build. He got it right.